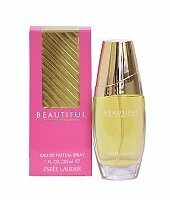 Estee Lauder introduced Beautiful in 1985. This fine fragrance contains lemon, jasmine, tuberose and is accented with lily of the valley, carnation and cedarwood. Beautiful is recommended for casual use.